In just a few days, the greatest spectacle in all of racing takes place at the famous historic Indianapolis Motor Speedway, the Indy 500. Welcome to the first annual Month of May Poll. The Month of May Poll is a chance for everyone to democratically choose the best racing game for a specific platform. For the first edition, 10 exclusive Nintendo 64 racing games want your vote to become the best racing game on the Nintendo 64. For those of you who wish a different console was represented, do not worry, a different console will be represented next year. There are 10 candidates for this poll. They were all released exclusively for the Nintendo 64 and need your votes to come out on top. 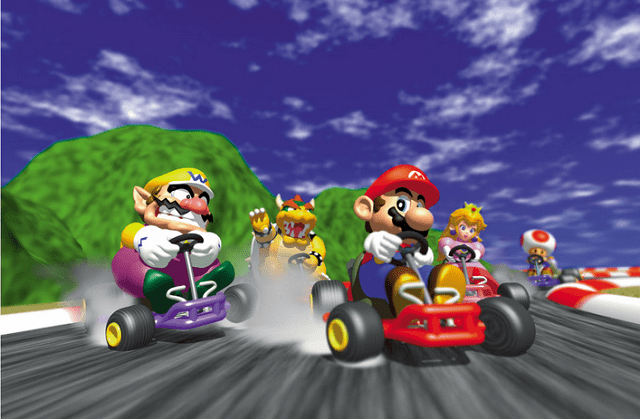 Mario Kart 64 is one of the first games to come to people’s minds on the Nintendo 64. The game has several both famous and infamous iconic tracks. Mario Kart 64 is known for its 4 player battle mode. Fans of the Nintendo 64 and Mario Kart praise the battle mode as one of the best multiplayer experiences on the console. There is also a vs. and grand prix mode. This was the introduction of the blue shell, an item that targets and hits whoever is in first place. 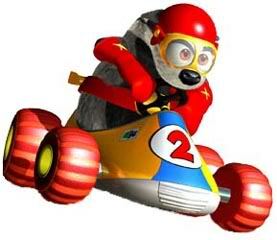 Some see Diddy Kong Racing as a clone, others see it as superior to Mario Kart 64. Diddy Kong Racing took the iconic kart formula and expanded it to include planes and hovercrafts, a fun, worthwhile single player mode, and an item system which color coded items and gave them upgrades to take out your opponents. 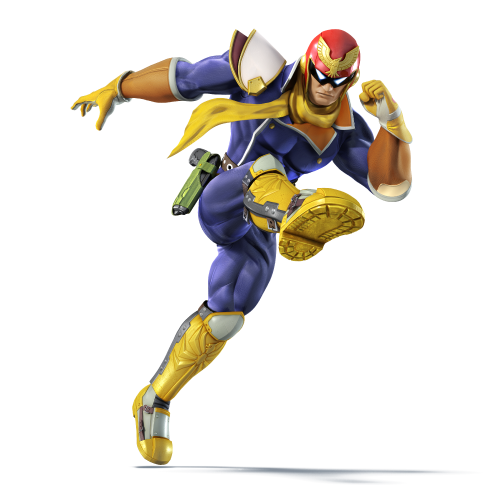 F-Zero X is the sequel to the Super Nintendo launch title, F-Zero. F-Zero X expanded the F-Zero formula by introducing 30 drivers, adding more tracks, and adding a cup with randomly generated tracks. F-Zero X boasts a fantastic soundtrack even if its only in mono and not stereo. 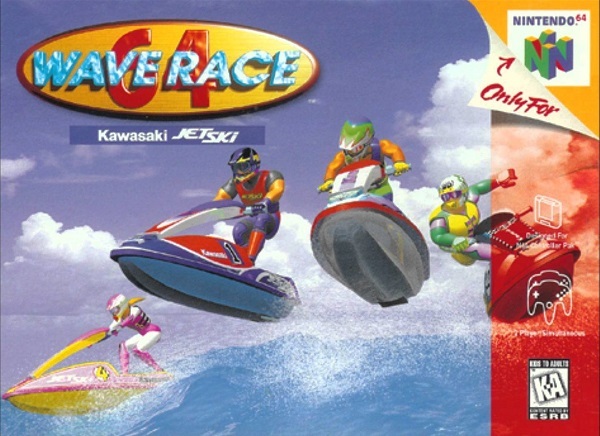 Wave Race 64 is the classic Jet ski racer to successfully make the jump from the Game Boy to the Nintendo 64. Wave Race 64 pushed the limits of the Nintendo 64 at the time by using 80% of its power. Visually, the game is pleasing to the eyes. 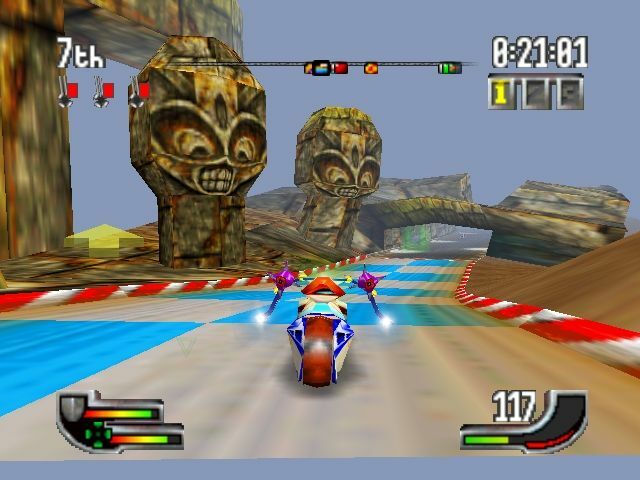 The game is still considered to be one of the best Jet Ski racing games to date, which is a feat nearly 20 years later. Although it only supported two players, it has some of the best water and wave physics in a water based racing game. The challenge was mastering all the tracks and having enough points to make it through single player mode. Cruis’n USA is the first game in the Cruis’n series. The series started out in the arcades, but it was published by Nintendo and it was only released to the Nintendo 64. Cruis’n USA allowed players to cruise through a section of the United States or cruise around the USA. The game has over the top physics and ends with a trip to the white house. The controls were different from most racing games with the Z button being used to accelerate and not the A button. The game remained mostly true to the arcades and the only modes available are the same modes found in the arcade version. Cruise Around the USA With Your Vote. Best Known For: Unorthodox Controls, Over The Top Racing, Alterations To The Game. Cruis’n World is similar to Cruis’n USA, but now has tracks based on locations around the world. It also started out in the arcades and was eventually ported over only to the Nintendo 64. Cruis’n World added a challenge mode, a tournament mode with unlockable upgrades, and the ability to perform stunts off cars and ramps. Cruis’n Exotica is not as well known as its older brothers, but it has its own brand of fun. Cruis’n Exotica has players race in exotic locations such as Atlantis, the Amazon, and Las Vegas. The game offered three different modes and more cars to choose from. 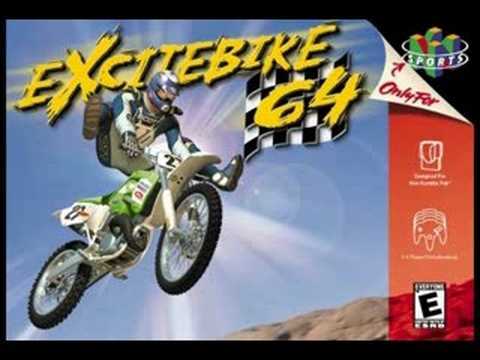 Excitebike 64 is the sequel to Excitebike and was the first 3D game. Excitebike 64 took a more realistic approach while maintaining the core features from Excitebike. The clock is no longer the only opponent, there are other racers to beat. With the advancement in technology, Excitebike 64 was a true racing game and not a glorified time trial There are six riders available. If a bike overheats, it will cause players to lose time as they have to wait for their bike to cool down. 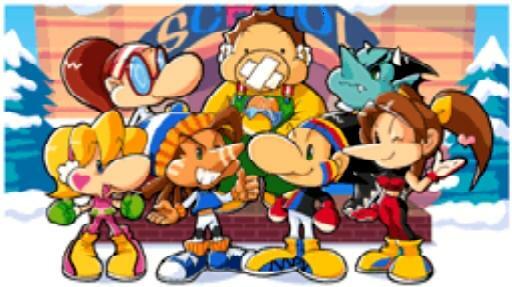 Snowboard Kids 2 took the Mario Kart formula and combined with snowboarding. The key to winning is to pick up offensive and defensive items. Its not as simple as picking up items, there are coins scattered around the track to pick up. Coins are used to get items. No Coins. No Items. Using stunts and knowing when to use items is the key to victory. The soundtrack is memorable. Extreme-G has speed, speed, and more speed. After all, the whole point of racing is to go as fast as possible. The futuristic racer has players racing around tracks while picking up items to defend and shoot down their opponents. It is possible to blow up the competition. Each motorcycle has its own strengths and weaknesses. You have until the end of May 31st to decide which game is the best racing game for the Nintendo 64. Let us know what consoles you want to have covered for next year and beyond. The results will be revealed in June. Previous Post:Comic Crossroads Volume 2: Does Ultron Dream of Rock and Roll?